The Best Maclaren Strollers from 2018 lineup have safety features that surpass industry standards giving baby maximum safety and security. They are fashionable and safe for your child and will give your child the comfort and protection deserved. These do well keeping your child all comfy and cozy outside. Created by one of the most reliable and dedicated baby carriage brands on the market, be pleased with these Mac Laren umbrella strollers just like every customer and every parent who owns one. With these great baby buggies, take that exciting trip with your toddler you’ve meant to make! 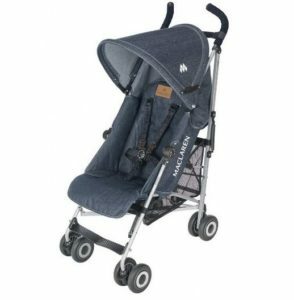 The Maclaren Volo Stroller with hood is easy to use, the lightest and simplest stroller for life on the go. Easy and fast to fold and go with handy carry strap. 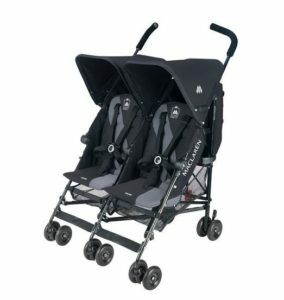 These Volo pushchairs (also available in pink!) are everything you could want in a foldable, on-the-go umbrella stroller. Featuring a high-performance aluminum frame, foot-operated brakes, a water-resistant hood and carry strap, these are prams that are more than ready to help you tackle your busy schedule with a baby in tow! 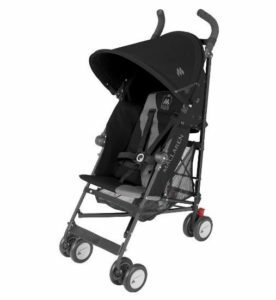 Maclaren Techno Strollers give smart, sophisticated look for the discerning parent. 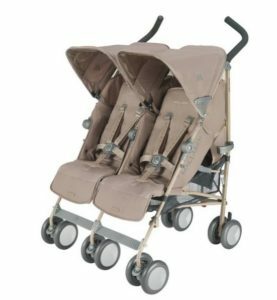 These are full-featured buggy travel system, providing superior comfort, performance, and sporty style. These got easy, single-handed fold with convenient carry handle, equipped with soft cosseting seat, 5 Point Harness, shoulder pads, adjustable shoulder straps for added safety, adjustable molded handles and fully-reclining seat. The ultimate in convenience, these Quest Sport Strollers stylishly and conveniently provide support and comfort for a toddler “minus the bulk” for practical moms. These are great lightweight prams for use when the child outgrows the travel system. Whether it’s to that unexplored park just minutes away or a real family island adventure, these carriages make exploring big and small a breeze. From compact fold to a handy carry strap/handle, these will take you there and back, again and again. 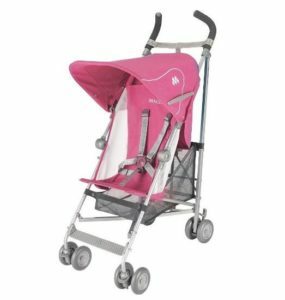 The Triumph Strollers are dependable, resilient, lightweight, durable buggies with stylish flare to meet the everyday needs of hectic family life. These go all purpose and simple to use by featuring single-hand fold with adjustable shoulder carry strap for climbing stairs or on public transport. These got ergonomic foam-gripped handles set at a comfortable height, making pushing these a breeze. Plus the easy to adjust strap recline system provides multiple positions, making a baby all comfy and cozy. In coming weeks I will add a review of models like Mark II Recline, Globetrotter, Techno XT and Techno XLR. These Maclaren Double baby carriages are built for comfort and performance for two. They combine superior comfort performance and room for two with sporty style. Twin head huggers and leg rests assure infant comfort. With a comfortable, compact fold and with its side-by-side design, the six double sets of lockable wheels offer superior steering control and deliver a smooth ride. Toddlers too are content in wide seats with large, protective hoods that operate independently. The umbrella-style fold helps the child keep cool and composed. Babies are soothed so parents can relax with children safe, secure and cosseted. When you want to be assured that your twins or your infant and toddler are safe and snug in their prams, you might as well get a Maclaren Twin Double pushchair to keep you company. Mothers are not only looking for a stylish baby carrier but one that can grow with their children and can be used by more than one child. Twin buggies serve the dual function needed by mothers with twin kids or two children. These great perambulators come with high-quality materials and features to ensure that your kids are safe and give you peace of mind. This is the stroller for a mother’s outdoors needs. You can keep your kids in the carriage while you sit down on a park seat and relax. You do not have to worry about beating the weather either because it has waterproof hoods and rain-covers are included. If you are searching for a double pram with plush and comfortable seats, a MacLaren Twin Techno stroller will be an excellent choice. If you want your kids to have a great time, not only in what they see but in comfort, they feel from strollers as well, this should be the one you get for them. When you have two little kids, you can have a hard time finding the baby buggy that will accommodate them and one that fits in your trunk as well. 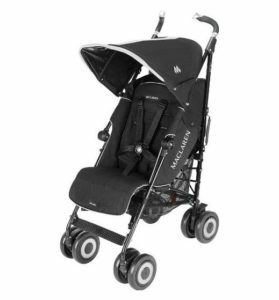 With the Maclaren Twin Triumph Stroller, you will have the chance to put your children in a stroller that is easy to maneuver and easy to store.